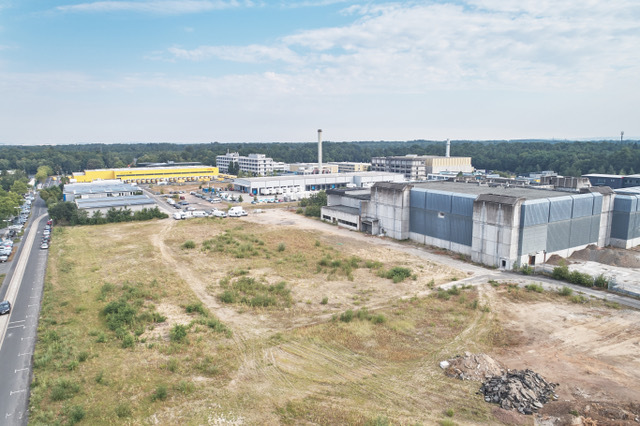 In a Joint venture, GARBE Industrial Real Estate GmbH (Hamburg) an Bremer Projektentwicklung GmbH (Bochum) Have acquired a 35,000 square meter property in the Hanau Technology Park about 25 kilometres east of Frankfurt/Main. The dismantling and demolition of the facilites locates there are scheduled to start in the first quarter of 2019. After the revitalization, the construction of an approx. 20,000 suqare meter multi-user property is planned on the last development area on this scale. On the grounds of today’s Hanau Technology Park in the Wolfgang district, fuel assemblies for nuclear power plants were produced until the end of the 1980s. In 2008, the bunker area (part of the whole park) was transferred to 1 & 1 Internet AG, which initially wanted to establish a data centre but this did not come to fruition. Now, following the deconstruction of the last remaining facilities that have been unused for years, a modern and sustainable commercial and logistics space will be developed on the site. Hanau’s Lord Mayor, Claus Kaminsky, welcomes the decision by Garbe Industrial Real Estate GmbH and Bremer Projektentwicklung GmbH to invest jointly in the Hanau site: “This will close the last remaining large vacant lot in the Technology Park and create attractive settlement opportunities at the location.” With the demolition of the old bunker, another “symbol” of the fuel assembly history on the location will also finally disappear, said the mayor happily. “With the revitalization and clearing of the unused land, we are enhancing unused property reserves and creating settlement potential,” explains Bernd Jungholt, Managing Director of Bremer Projektentwicklung GmbH. “Both companies bring their many years of experience in dealing with conversion areas from the revitalization of fallow land to the development of modern and sustainable real estate,” emphasizes Jan Dietrich Hempel, Managing Director of Garbe Industrial Real Estate GmbH. A property with a floor space of approximately 20,000 square meters is planned to be built in the Technology Park. Other features are office, mezzanine and social areas. “The planned multi-user property is suitable for regional and national companies in the fields of commerce, logistics, industry and production. It also offers local companies expansion and growth potential,” explains Jan Dietrich Hempel. The new building is expected to be completed in spring 2020. The location is characterized by its central location in the Rhine-Main area and its good transport links. Via the motorways 45 and 66 in the immediate vicinity that connect Aschaffenburg with Dortmund or Fulda with Wiesbaden, all major sales channels can be reached within short driving distances. Hanau city centre is only about four kilometres, central Frankfurt about 30 kilometres and Frankfurt airport about 35 kilometres away. “The excellent regional and national connections illustrate the very good location in the Rhine-Main area and offer optimal sales and trade routes for logistics and trade service providers,” says Bernd Jungholt.